All Green Electronics Recycling is pleased to aid companies inside of the Kansas City area to get the maximum amount from their IT Equipment with Certified IT Asset Disposition (ITAD), Secure Data Destruction and Electronics Recycling. As a means to give back to the community, All Green even serves a number of the residents of Kansas City with their electronic recycling. Kansas City is found in Western Missouri and hosts the Area Headquarters of All Green Electronics Recycling. This office is the headquarters for All Green’s functions in Kansas, Iowa, Illinois and Arkansas. Help keep Kansas City clean and e-waste free by recycling all of your electronic devices with All Green. Electronics waste or E Waste is the term for dumped electrical or electronic products. Unusable electronic devices that are destined for reuse, resale, restoration, recycling or disposal may also be viewed as Ewaste. Informal processing of electronics waste in developing countries may cause serious health and pollution issues, as these countries have very little regulations or oversight of Ewaste handling. It is estimated that 52 million tons of Ewaste are made each and every year. The United States disposes of 29 million computers every year and 70 million telephones are thrown away in European countries each year. You will find a massive amount of Kansas City E Waste created too. The Environmental Protection Agency reports that just 15-20% of Ewaste is recycled, most of these consumer electronics going right to a landfill and incinerators. All Green Electronics Recycling is the leader in handling Ewaste in a secure, responsible method. The electronics we recycle are fully guaranteed to never show up in a landfill abroad. To schedule a Kansas City E-Waste pickup, take the time to fill out the request form on this site. 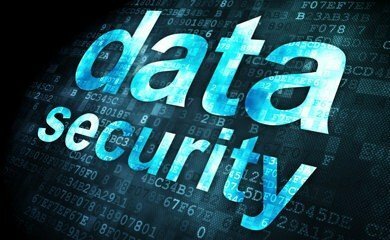 When security and data destruction are not taken care of with the proper care they are worthy of, it can cause many millions of dollars in damages and a totally tarnished reputation. Regardless of whether your company is subject to stringent privacy laws and regulatory requirements, your company cannot afford to risk very sensitive information falling into the wrong hands. Kansas City is home to many data centers as well as corporate headquarters for substantial international businesses so we offer on-site hard drive destruction services in addition to our traditional data destruction services in Kansas City, MO. With the most advanced hard drive shredding trucks in the world, All Green offers expert services that are truly unmatched! 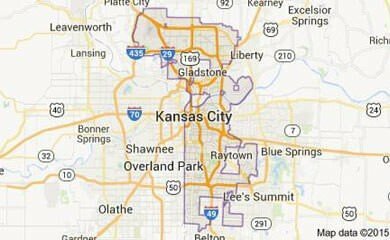 With a population of 459,787, Kansas City is the most populous city in the state of Missouri. Key components of the city’s economy include pharmaceuticals, agriculture, and automotive manufacturing. Kansas City is home to University of Missouri,Kansas City, Park University, and the Kansas City Art Institute. The city has three professional sports teams: the Kansas City Chiefs, the Kansas City Royals, and Sporting Kansas City. Walt Disney spent some of his childhood in Kansas City, and his home still stands and can be visited today. All Green’s 7-Step Electronics Recycling, Data Destruction and IT Asset Disposition process in Kansas City and the surrounding areas. 1. You own used IT Equipment – If it plugs in to the wall or takes batteries, we can handle it! 2. Click or call to schedule IT Recycling – Our Kansas City customer service specialists are ready to assist 6 days a week. 5. We safely transport everything – Your equipment is securely transported & monitored at each and every step. 6. 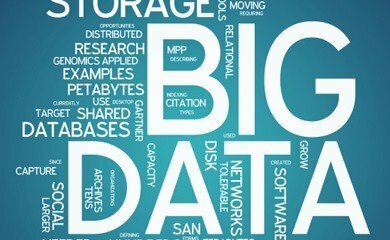 We eradicate all data – Data destruction techniques from wiping to crushing and shredding. 7. Eco-Friendly Recycling – Certified to the highest standards with ISO14001, R2. All Green is a Registered Microsoft Refurbisher with dedicated systems created to increase returns to our customers. Our repair and resale systems are specifically designed to get you the maximum value for all of your retired IT assets. Repurposing and resale of IT Equipment has never been simpler with our streamlined procedures. Anywhere in Kansas City, you can turn your IT Asset Disposal program into a sales revenue stream by allowing All Green in Kansas City to pickup, track, thoroughly clean and repurpose your out of date IT Assets. The resale of computers, notebook computers, servers, hard drives, monitors, mobile devices and tablets is precisely what we do best! Let us do what we do best while you focus on what you do best and get the highest return on your IT Equipment. Large companies and even educational facilities such as University of Missouri,Kansas City, Rockhurst University, Kansas City Art Institute, Kansas City University of Medicine and Biosciences and Grantham University in Kansas City rely on repurposing IT Equipment in order to buy new equipment as often as possible. All Green’s traveling hard drive shredding trucks operate in the Kansas City area to provide coverage for the large number of corporate headquarters and businesses based in Heart of America. The landscape in Kansas City and adjoining areas including Overland Park, Independence, Olathe, Lee’s Summit, Shawnee and Blue Springs allows us to operate hard drive shredding trucks that can arrive at your business location and destroy your hard drives while you observe. Federal government agencies like US Labor Management Standards, US National Archives-Records and US Agricultural Department rely on secure destruction of their data and so should you. If you will not require witnessed hard drive shredding in City of Fountain, we also offer pickup hard drive shredding and wiping solutions and even pack and ship data destruction services. The state of Missouri has rigorous destruction and disposal laws so we ensure appropriate management and security for all of your electronic equipment.